The UK North Sea will enjoy a bumper year for production and new project sanctions in 2018, a new report says. Energy consultancy Wood Mackenzie (Woodmac) said final investment decisions (FIDs) for up to 14 projects are expected this year, the most since 2013. 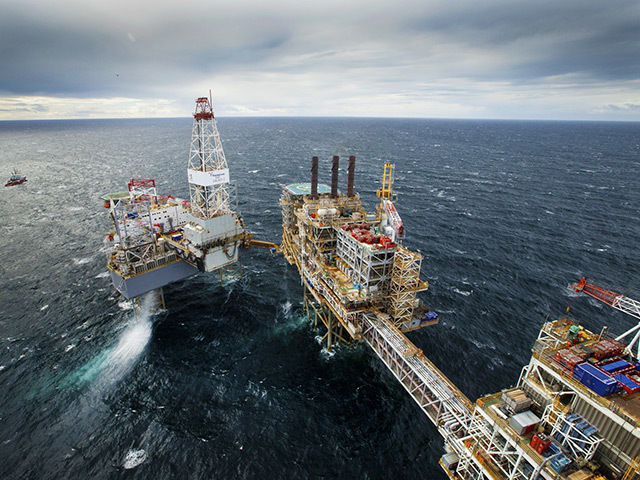 FIDs include Premier Oil’s Tolmount project, Shell’s Penguins area redevelopment and Nexen’s phase two development of the Buzzard field. Production is forecast to reach 1.9million barrels per day, the highest level since 2010, thanks to the ramping up of fields brought online last year. Statoil’s Mariner field and BP’s Clair Ridge project are expected to achieve first oil this year. Woodmac also predicts the emergence of a “new normal” in development spending and exploration activity. Fifteen exploration wells are lined up for 2018, roughly the same number as last year. Woodmac said west of Shetland would be busy, with at least five wells being drilled there. US oil firm Apache will be the most prolific driller with up to five operated wells. Siccar Point Energy and Nexen also have plans for wells west of Shetland. Development spending will total around £4.5billion, the lowest level since 2000, due to a dearth of recent project sanctions. BP, Total and Shell will be the top three companies for capital expenditure in 2018. In terms of mergers and acquisitions (M&A), deal activity will rise, but the value of trade will drop by about 50% year-on-year to £2.6billion. Last year’s figure was boosted by Chrysaor’s landmark swoop for a package of North Sea assets from Shell for up to £3billion. Woodmac said asset transfers would dominate as private equity-backed firms and newly-formed independents target producing fields. Reforms allowing sellers to transfer their tax histories to buyers should also open the door for new entrants and mature field acquisitions. The reforms were announced by Chancellor Philip Hammond in the Autumn Budget and are expected to be in place by November. Spending on decommissioning will drop to £1.33billion in 2018 from £1.47billion last year. The consultancy has forecast a big step up in decommissioning activity on the UK continental shelf from 2020.